Developed by Popcap, Bejeweled is one of the most iconic match-3 franchises out there, mainly because it is the original gem-based match-3 game. Following the original’s successful footstep is this brand-new addition, Bejeweled Stars. 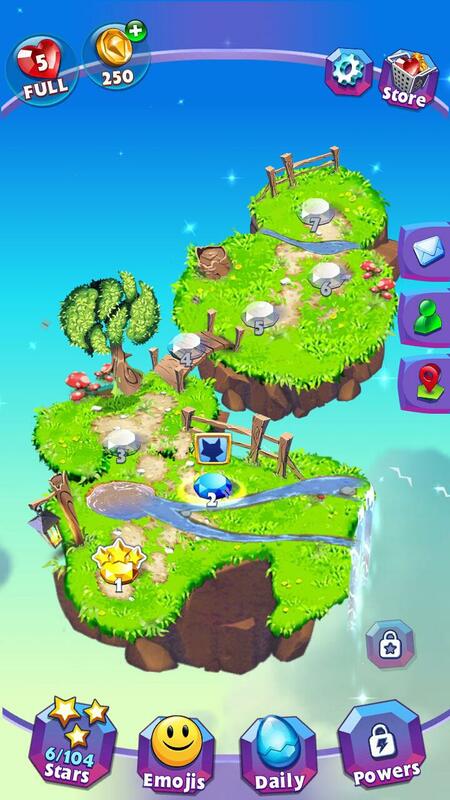 Unlike the basic match-3 game of old, this game adds in exciting power-ups, special gems, cute collectibles, and more, giving its gameplay that extra flair, and its players something to strive towards. 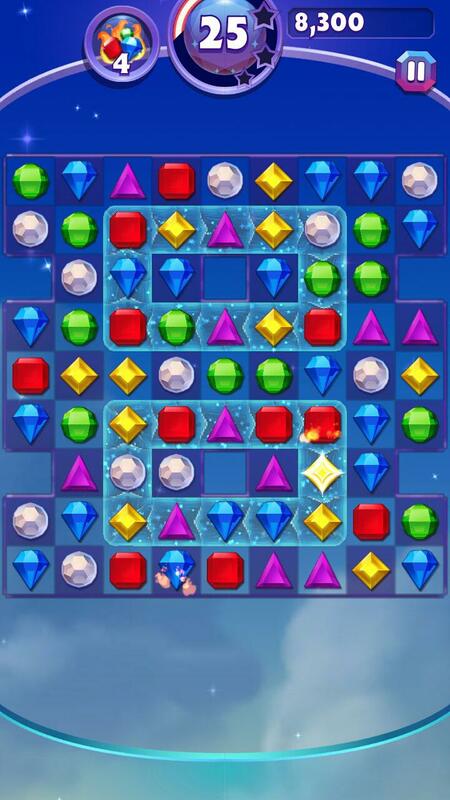 If you enjoy a fun puzzle-based match-3 game, you’ll want to play Bejeweled Stars! 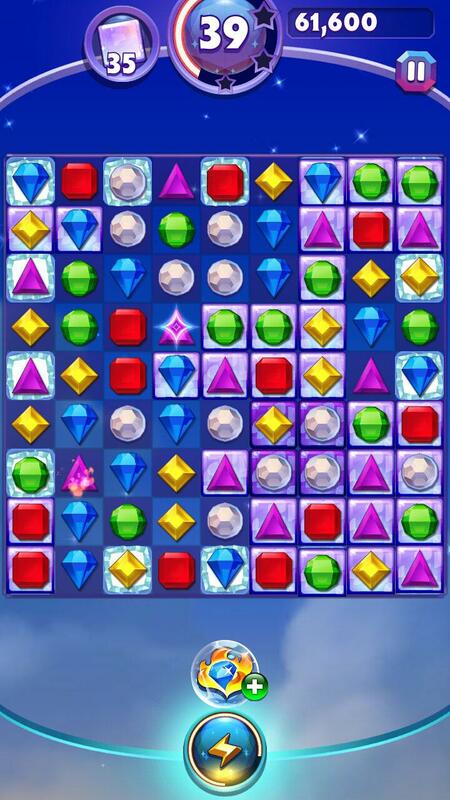 The gameplay in Bejeweled Stars is generally similar to most match-3 games. 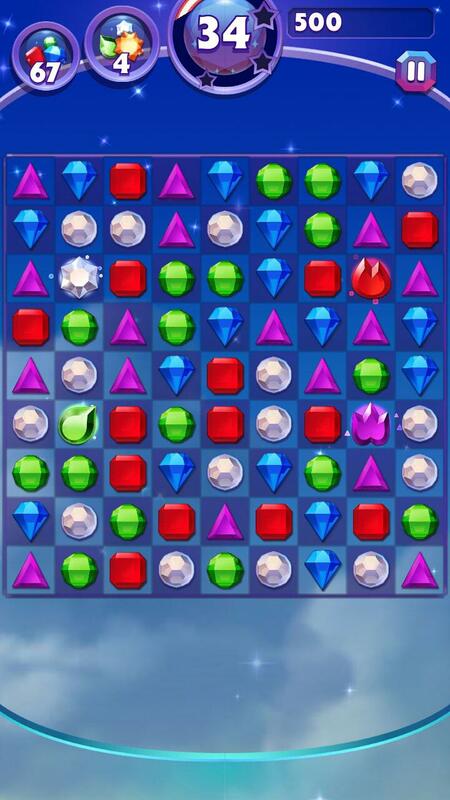 Generally, you’ll need to match 3 or more gems of the same color together, either horizontally or vertically, to clear them from the board. The gems will then move downwards to fill up the empty spots. There are special gems that you can get if you match more than 3 gems together. If you match 4 gems together in either a line or in a square shape, you’ll get a Flame Gem. Flame Gems will explode, clearing the gems in their immediate surroundings, when matched with at least 2 other gems of the same color. Putting 5 gems of the same color together, on the other hand, will get you either a Star Gem or a Hypercube. To get a Star Gem, you’ll need to match 5 gems in a T or L shape, while to get a Hypercube, you simply need to match 5 gems in a line. Best yet, these special gems can be combined to produce a much greater effect, which usually results in a whole bunch of gems being swiped off the grid. It’s also interesting that you can make a move while the cascading effect is ongoing as long as the gems you swipe aren’t the ones involved in the cascade. 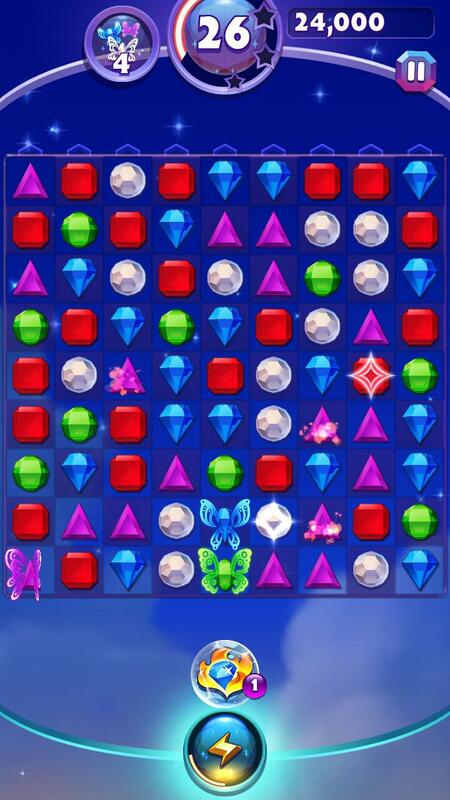 Like most match-3 puzzle game, Bejeweled Stars is pretty much moves-based. This means that you’ll be given a specific objective to complete in each level, and you’ll be given a limited number of moves to do so. Most of the time though, you’ll probably end up with a ton of extra moves since the puzzles in this game aren’t exactly very difficult to solve. All those remaining moves will then be added to your final score, right after all remaining special gems on the board are detonated. 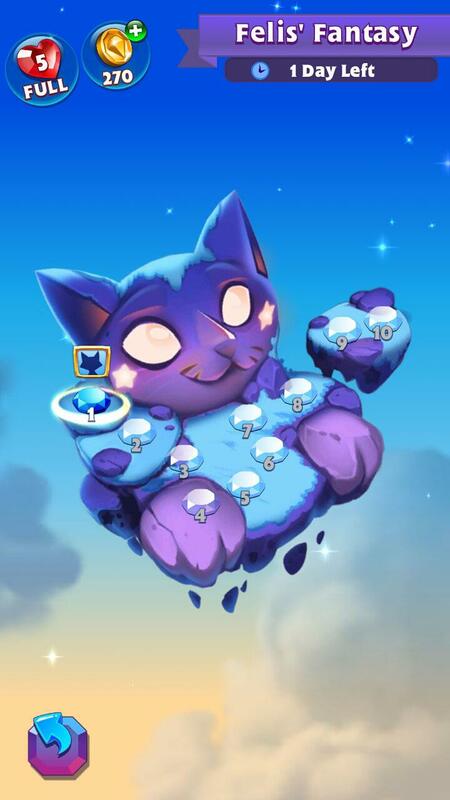 Aside from the usual objective of collecting a certain number of a specific colored gem or activating a certain number of a specific special gem, you may sometimes be required to clear crystals and butterflies. Crystals are tiles that can be removed by matching over them. However, they may appear in multiple layers which will then require multiple matches to remove. Butterflies, on the other hand, have a quite interesting game mechanism. You are required to match them like any normal gem but the catch here is that you mustn’t let them reach the top of the playing field. If anyone of them managed to reach the top, you’ll immediately lose the level. There are also special Skygems – basically, gems that look different and have a soft glow around them – that will occasionally appear as you play. You can collect them by matching them up. These gems are important because you’ll need them to craft power-ups and keys at the Power Lab. However, there will be times when you may be forced to decide to forfeit a level and get that rare Skygem, or not. Thankfully, even if you lost a level, the Skygems you collected will still be credited to your account. Though, you might want to not lose a level as much since you’ll lose a heart as well. You only get 5 hearts max and once they are all gone, you’ll need to wait for them to regenerate before you can play again. Now, back to the Power Lab, crafting a power-up takes time and you can speed it up with premium coins. 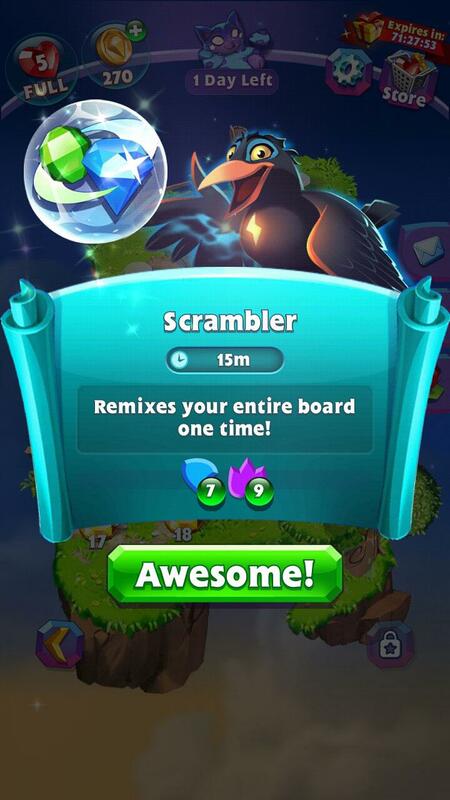 You can’t really craft a lot of power-ups at first since it also takes time to unlock new power-ups, but generally, you can expect the common power-ups like the Flameswapper which swaps any gem with a Flame Gem of that color and the Scrambler that will scramble the entire board of gems. Oh, on a side note, your game will auto-scramble itself if you ran out of feasible moves. All of these gameplay features definitely makes Bejeweled Stars a whole lot more entertaining to play. They provide the variety to the oftentimes quite monotonous matching and give you the challenge you crave from time to time. Though, as I’ve mentioned, the game isn’t exactly very difficult, at least for the first 20 levels or so, thus having an extra bit of challenge now and then works well to keep you on your toes. Although I still can’t really figure out how the game awards you with stars, each level also has up to 3 stars for you to earn. 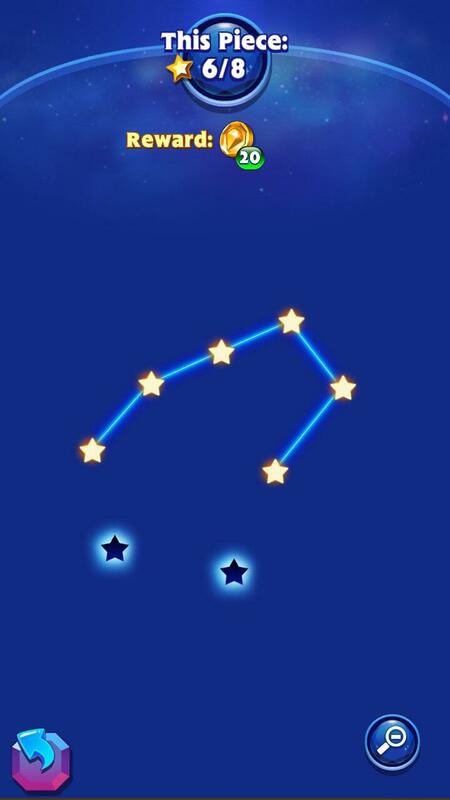 These stars are equally as important because you’ll need them to unlock new constellations which will, in turn, grant you rewards like free coins, Skygems, and more. If you recall, you can also craft keys at the Power Lab using Skygems and these keys are actually needed to open the Emoji chests that you sometimes earn by finishing a level. Emojis can even be earned by completing certain achievements. These Emojis don’t really do much though other than being simply collectibles. That being said, you can “equip” some of them and they will appear beside your profile pic on the level selection screen. There’s another collectible called the Surprise Chicken as well, but I didn’t manage to unlock it during my review. I’m assuming that these “chickens” are collectible pets of some sort. Looking to spend some real money on this game? Well, you can purchase more coins, emoji chests, infinite hearts for a few hours, or even a permanent 6th heart. Unfortunately though, you won’t be able to buy any power-ups directly. 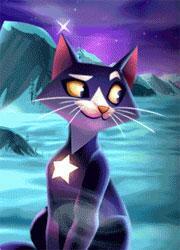 Bejeweled Stars becomes a bit more social once you’ve linked up your game account to your Facebook account. One the linking is done, you should be able to compete with your friends via a leaderboard, send them messages and gifts, and so on. 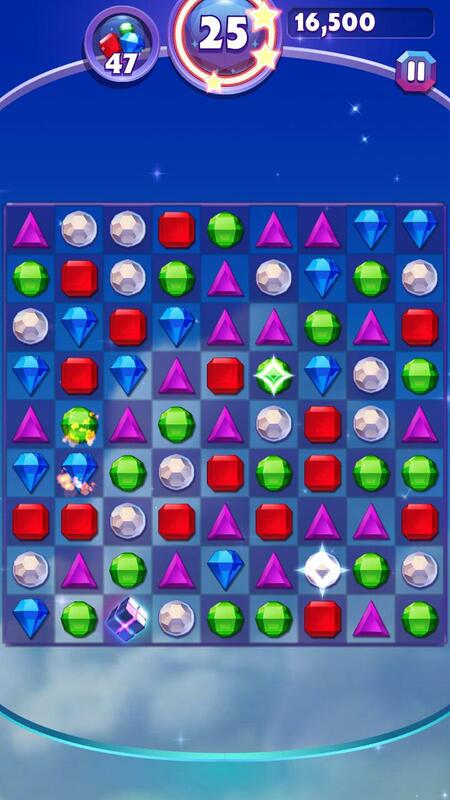 Bejeweled Stars has some really crisp graphics which clearly defines the shiny and sharp edges of every gem on the grid. I also really liked that zoomed-in effect whenever you made that last match which cleared the level. In terms of sound, the tinkling sound effects perfectly fit the gems you’re matching. However, the best part is that song which is played every time you complete a level. It is not only unique and different; it’s pretty hilarious too. If you listen carefully, you can hear that the choir is actually meowing the entire tune. That tune manages to tickle my funny bone every time I hear it, and maybe it’ll do the same for you too. To sum up, Bejeweled Stars may be a match-3 puzzle game on a mobile platform that’s practically saturated with games of the similar genre, but this game definitely made a massive effort in standing out… and I like to think that it managed to do so. The gameplay is quite varied and engaging since there are several new game mechanics introduced. The game also has an interesting choice of music in addition to the brilliant visuals. That being said, I find the game’s power-up crafting aspect a bit of a hit-and-miss mainly because earning Skygems one by one can be quite a pain, and that you aren’t allowed to just buy them if you have the dosh to spare. Maybe Popcap can further improve this part of the game to make it slightly easier to craft power-ups. by Aethyna Jan 2, 2018 Unlike the basic match-3 game of old, Bejeweled Stars adds in exciting power-ups, special gems, cute collectibles, and more, giving its gameplay that extra flair, and its players something to strive towards. If you enjoy a fun puzzle-based match-3 game, you’ll want to play this game! Read More Be the First to Post a Review!